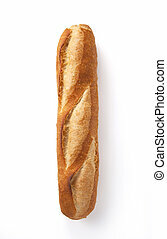 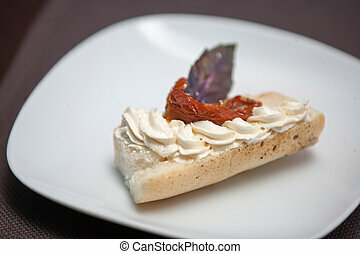 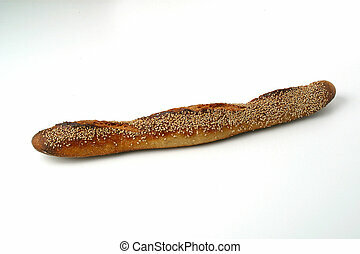 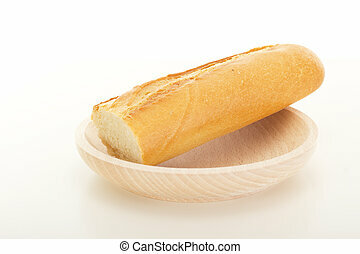 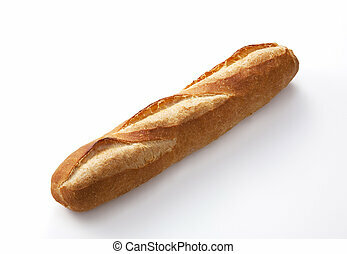 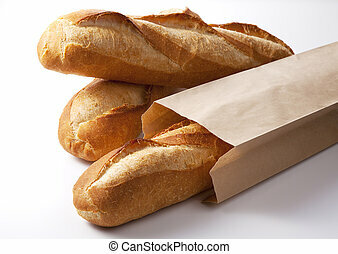 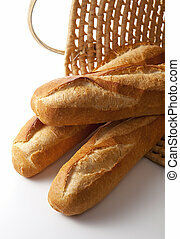 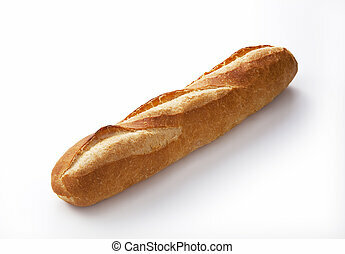 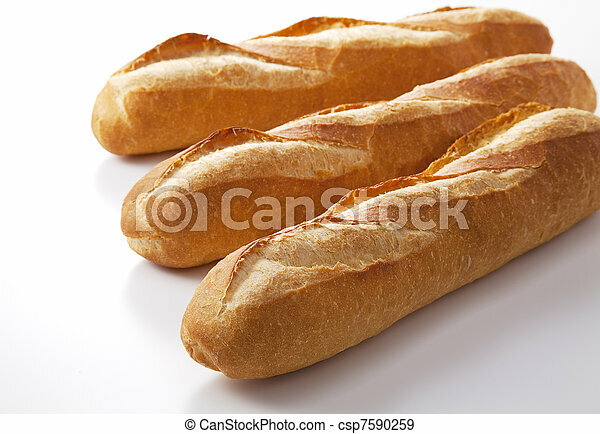 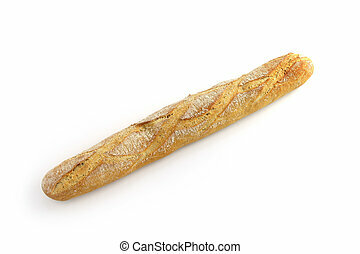 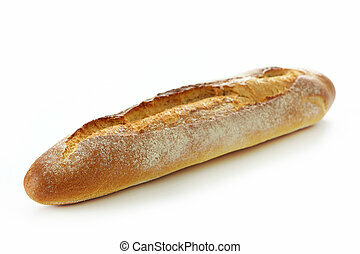 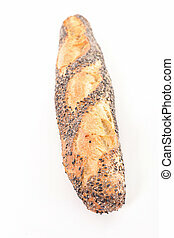 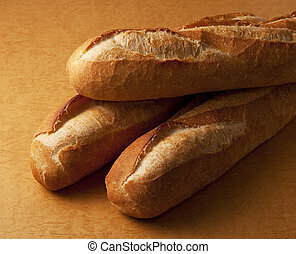 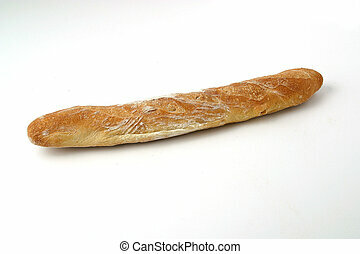 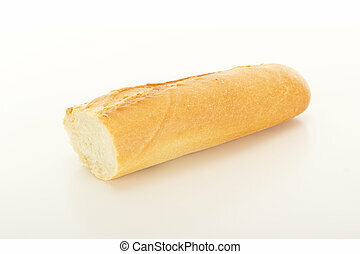 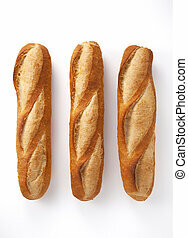 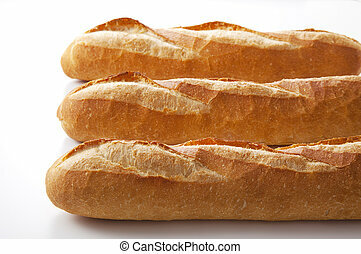 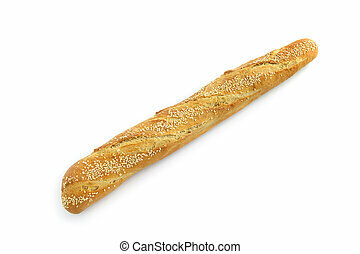 The closeup of french baguette in the paper bag isolated on white. 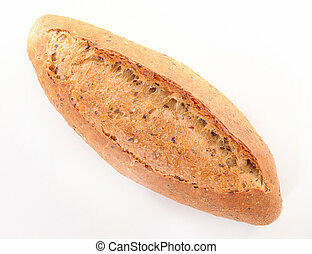 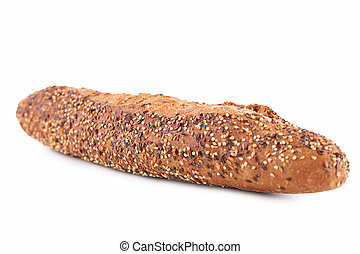 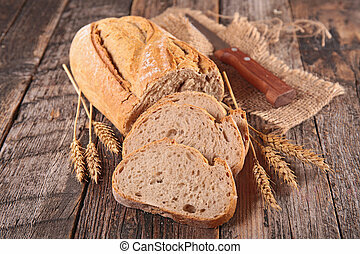 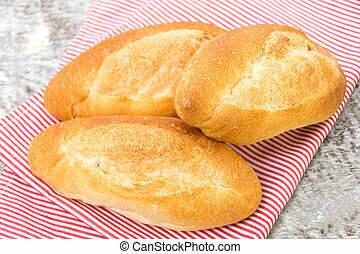 The whole bread on a brown background. 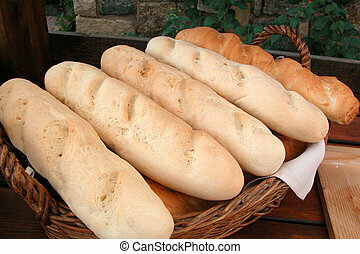 Homemade french bread in Basket.